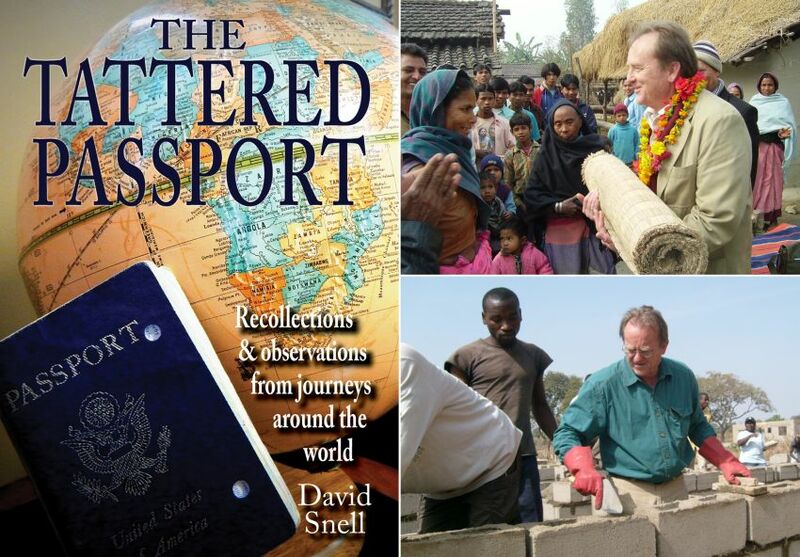 In September of 2018, Fuller Center for Housing President David Snell released “The Tattered Passport” in paperback through Amazon. With a cover price of $15, proceeds of the book go to The Fuller Center’s work of helping people have simple, decent places to live. Today, “The Tattered Passport” was made available in a electronic format from Amazon. Priced at $5.99, proceeds from electronic sales also go to The Fuller Center’s work. “The Tattered Passport” is a collection of David’s notes and thoughts from his many journeys around the world and includes insights to the world off the beaten path, including in such places as North Korea, Nepal, Sri Lanka, Haiti, Democratic Republic of Congo, Nigeria, Armenia, Nicaragua, El Salvador and Peru.